WHY does the SCOMO GOVT Persist with Importing People with Australia in the Grip of Drought and Floods? -much of the country is in the grip of drought? –record high temperatures have stressed our agricultural yields, in many cases to their lowest in over a decade? NSW, which has had its warmest January-July 2018, posted its fourth-warmest July alone, as did Queensland. 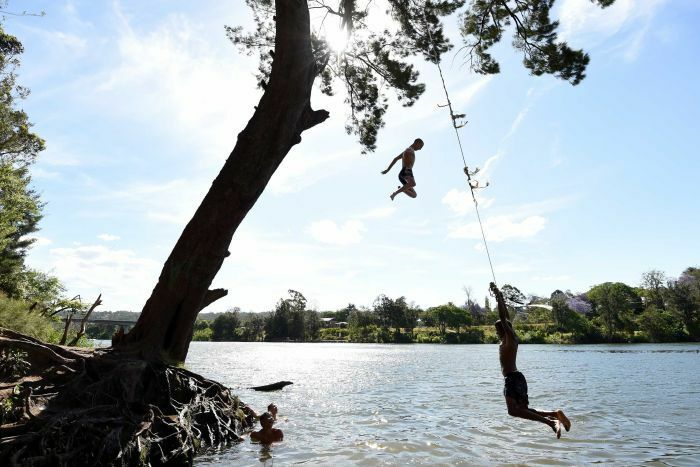 Even Victoria, buffeted by more cold fronts, posted its sixth-warmest July. 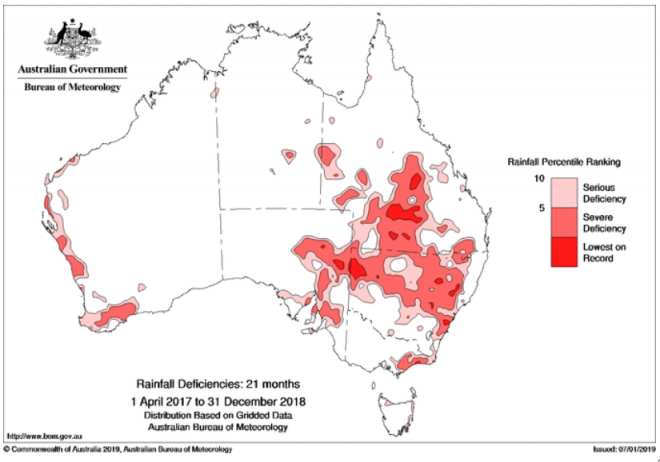 The bureau’s August-October outlook points to below-average rainfall for most of eastern Australia and warmer-than-normal temperatures as unfavourable climate influences from the Indian Ocean tighten the atmospheric tap that normally streams moisture across the continent at this time of year. … And the impact of resulting heatwaves is typically multiplied, knocking as much as 10 per cent off the yield of cereal crops – assuming farmers have enough moisture and funds to plant in the first place, he says. 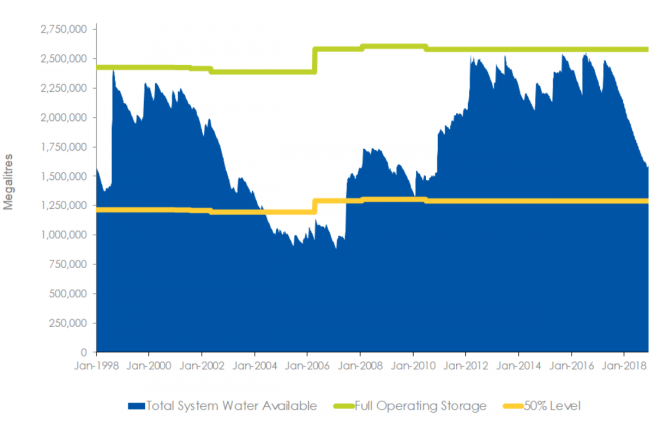 –our potable (drinking) water supply is struggling to maintain adequate reserves with expensive desalination having commenced in Sydney, and restrictions being contemplated? 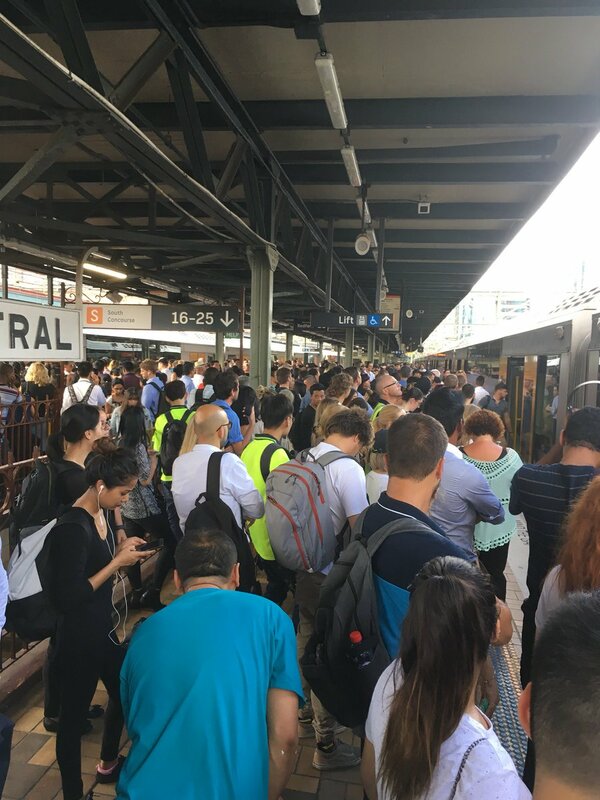 –our road and rail systems are not coping despite massive infrastructure spends? 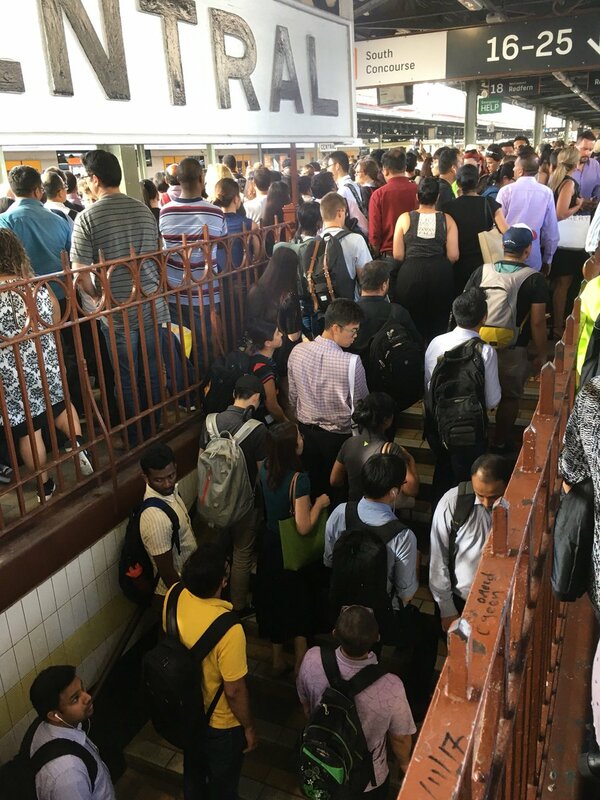 Crikey Photo: Sydney train serviced described as a “shitshow” and commuters are pee’d awf. WESTCONNEX has annihilated the Inner West and is progressing with its destructive tentacles across Sydney to the Royal National Park in the South and to Sydney’s Northern Beaches! 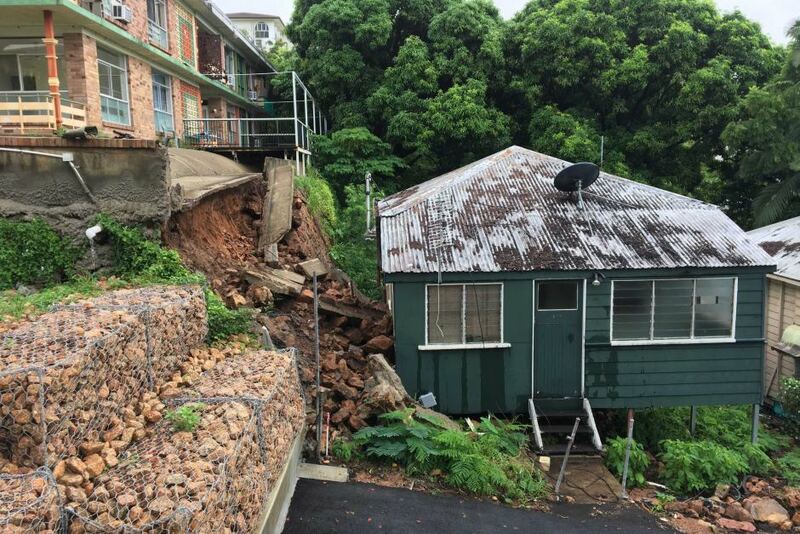 ABC Photo: Residents of a house had to evacuate as part of a hill gave way! Photo: The Herald: Fears over the ag production space east of the Sandstone Curtain are long-held, and will surely build as Sydney grows from 4.9 million to 8 million people by 2050 as expected. A Google Earth shot of Menangle village with the trees, backyards and lifestyle you would expect 70km from Sydney – with a shot of the new estates. ABC Photo: Farmers fighting the drought! 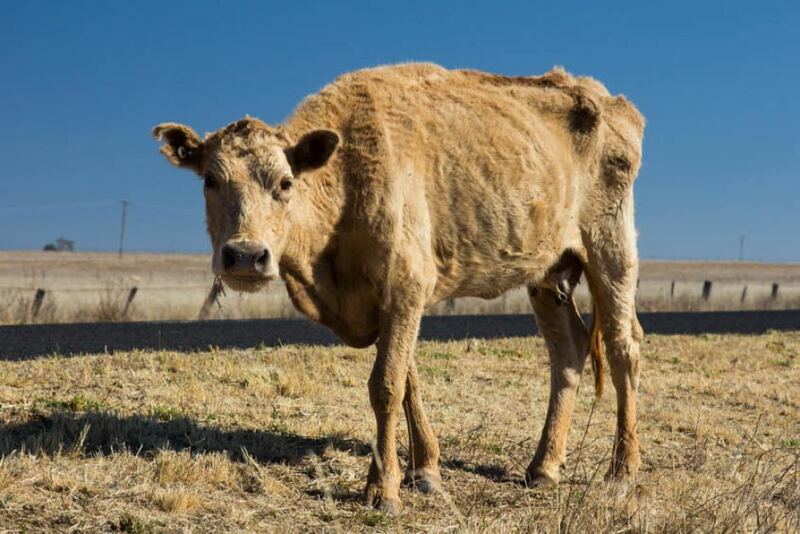 ABC Photo: August 2018: NSW farmers are paying hefty sums for fodder to be trucked in from as far as SA and Victoria. 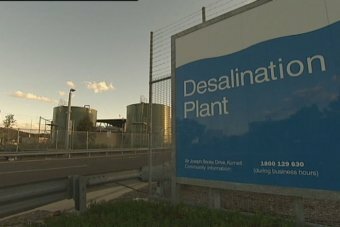 NSW DESALINATION PLANT COSTING CUSTOMERS $10 BILLION! AS of today (27 January 2019) the Consortium, the Hastings Funds Management and the Ontario Teachers’ Pension Plan, based in Canada are to be paid $5.5M to switch the desalination plant on! 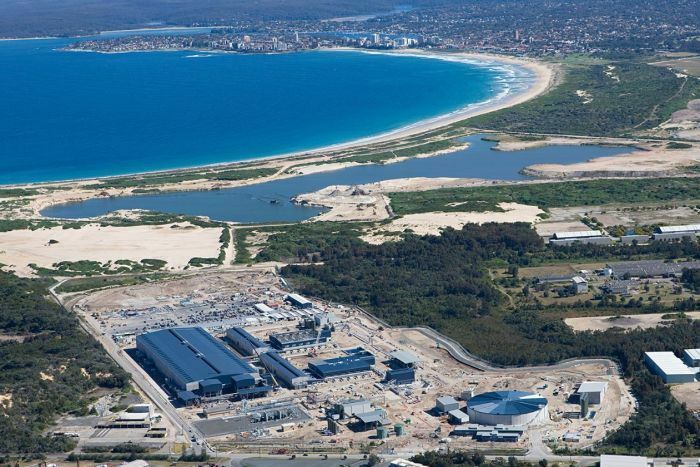 PHOTO: Sydney’s desalination plant at Kurnell stopped operating more than a year ago. 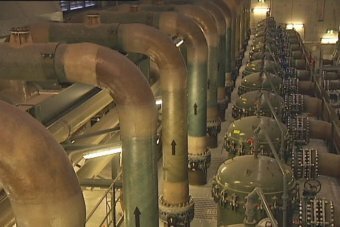 Sydney’s privatised desalination plant, which is costing residents more than $500,000 a day to keep on standby, will not be needed for at least another four or five years. The sale of the plant last year to a private company for $2.3 billion means residents are locked into paying about $10 billion in fees for the next 50 years, whether the plant is operating or not. Not one drop of water has come out of the Kurnell facility since it stopped operating more than a year ago. With dam levels at 93.4 per cent, the plant has been placed into “water security” mode, a long-term shutdown which is likely to continue for some time. 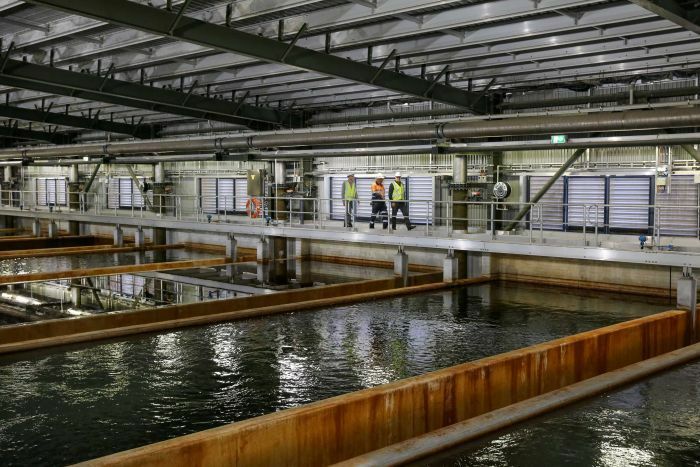 “My best estimate is it will still be about four to five years before we turn the desalination plant on,” Sydney Water’s managing director Kevin Young told 7.30 New South Wales. But the meter has not stopped ticking over for Sydney Water customers. Every day they are paying more than $500,000 in what is known as an availability charge. “We pay an availability charge whether we use water or not. That is equivalent to around $200 million a year,” Mr Young said. In May last year, just weeks before the plant was put on ice, it was sold to private investors. The buyer was a consortium split 50-50 between Hastings Funds Management and the Ontario Teachers’ Pension Plan, based in Canada. Between now and 2062 they are guaranteed inflation-linked payments of about $10 billion from Sydney Water. The NSW Minister for Finance and Services, Andrew Constance, said the deal delivered value for money. “We took a very deliberate decision to refinance the desalination plant, to convert it to a 50-year lease because by having that capital available, we can better utilise that capital across the community for hospitals, schools and roads,” he said. It was a Labor government that built the Kurnell plant, but Opposition treasury spokesman Michael Daley says the O’Farrell Government has turned it from a public asset to a cash cow for a private company. “That’s now a 50-year deal locked in, and at the end of that 50 years this facility gets given to the private operators for not a cent extra,” he said. PHOTO: Sydney Water customers pay about $100 a year for the desalination plant as part of their bill. The fees paid to the owners of the desalination plant are set by the state’s Independent Pricing and Regulatory Tribunal (IPART). They are structured to ensure the owners receive a return on their investment whether the plant is running or not. When the plant was switched off in July last year, the owners were paid a shutdown fee of $1.5 million. When it comes time to switch it on again, they will be paid a restart fee of $5.5 million. “The problem with all these privatisations, the details are always kept hidden,” Mr Daley said. Sydney Water says the sale has had no impact on water bills. “Customers are probably paying around $100 a year for the desalination plant as part of their bill,” Mr Young said. Find out more on this story on tonight’s 7.30 NSW program. Water consumers have paid $534.7 million to keep the Sydney desalination plant in what its operators describe as a state of “hibernation” since it was leased to a private investment company by the Liberal government in 2012. Greens MP John Kaye, who has previously described the plant at Kurnell as a “white elephant”, which has never produced a drop of desalinated water outside testing, has called for it to be permanently mothballed, as he believes there is no likelihood of it being needed in the forseeable future. 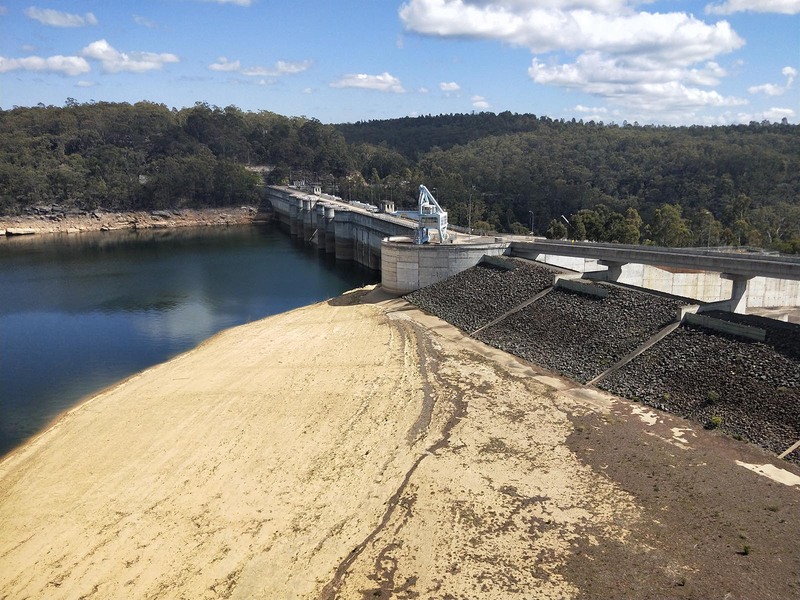 Figures from Water NSW show that dams this weekend are 82.8 per cent full, with Warragamba dam, the largest of Sydney’s five drinking water catchments, 85.5 per cent full. Amid much controversy, the desalination plant was built by the Labor government as an insurance policy against drought, but critics say the state was already well served by reservoirs and that increasingly efficient use of water, despite a growing population, means it is unlikely to be needed. The Warragamba Dam is one of five reservoirs providing water for Sydney. “What we should do now is pay Veolia, the maintenance company, out and put the plant into mothballs,” Mr Kaye said. “Mr Baird has signed us to a 50-year contract tying us to a plant we don’t need. It’s unlikely we will need it in the next 10 years and it is likely we will never need it. The NSW government sold its plant to a consortium of Hastings Funds Management and the Ontario Teachers’ Pension Plan for $2.3 billion, but with a 50-year lease that guaranteed them payments whether the plant was working or not. Sydney Desalination Plant chief executive Keith Davies said maintenance of the plant in 2012/13 cost $194.9 million, in 2013/14 it cost $192.7 million and to March this year it cost a further $147.1 million. He also said that if it was required to put the plant into full operation now, it would cost $5.9 million. The plant was in “water security mode”, which was effectively hibernation, with care and maintenance carried out by 17 staff, Mr Davies said. He likened the plant to house insurance policy, saying owners did not want their house to burn down, but the insurance was there if needed. But Associate Professor Stuart Khan, a water expert from the University of NSW School of Civil and Environmental Engineering, disagreed. NSW Minister for Water Niall Blair said while the NSW Coalition government inherited the facility from Labor, it had sought to get a better deal for taxpayers. “That’s why in 2012 we leased the plant for 50 years, for $2.3 billion. This wiped out $2 billion of debt and delivered net proceeds of $300 million to invest into critical infrastructure like roads, schools and hospitals,” he said. The plant can produce 250 million litres each day – 15 per cent of Sydney’s water needs, the desalination plant website says – and the intention is that it will be activated when reservoir levels drop to 70 per cent and run at full capacity until they hit 80 per cent. 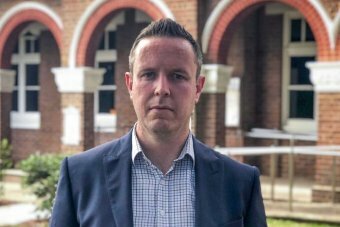 The Mayor of Wollondilly Shire Council, Matthew Deeth, said the desalination plant would not help his Shire in Sydney’s south-west. Wollondilly gets most of its water from the near-empty Cataract Dam, which sits at just 27.2 per cent capacity. IT would seem it is dependent on weather conditions whether Sydney’s water will in fact last two years! A Sydney Mayor is calling for water restrictions to be enforced early, as the NSW Government prepares to switch on the city’s desalination plant tomorrow. Turning on the plant for its first official use will increase some residents’ water bills by about $35 a year. The Mayor of Wollondilly Shire Council, Matthew Deeth, said the plant would not help his Shire in Sydney’s south-west. Mr Deeth said he wanted water restrictions introduced urgently. “Unfortunately, the desalination plant doesn’t actually supply Wollondilly at all,” he said. “There is a great deal of concern. Some Sydneysiders will see a rise of $25-$35 per year once the plant is producing drinkable water — which could take a number of months. The re-starting of the desalination plant is triggered when Sydney’s drinking water level hits 60 per cent capacity. It currently sits at 60.1 per cent. Water restrictions are not enforced until dam levels fall to 50 per cent, but Mr Deeth said restrictions should come sooner. “The challenge when you do hit 50 per cent, is that it takes a long time for people’s behaviours to change,” he said. Mr Deeth conceded turning on the desalination plant would help some areas in Sydney but “we should have been having this discussion more than 12 months ago”. Minister for Utilities, Don Harwin, said restrictions should always be a last resort. “Water restrictions are not needed; Sydney’s still got two years’ worth of water,” he said. Under Sydney’s current water plan, level-two water restrictions are triggered when dam levels hit 40 per cent, with level-three restrictions implemented when levels plummet to 30 per cent. AND the desalination plant is about to be turned on! “Once switched on, the plant will be able to produce drinking water within three to four months.” a plant spokesman told the Herald on Monday. 15% of Sydney’s drinking water, hey? So what happens when Sydney’s population balloons by a projected 4.5 million people (86%) over the next 48 years, driven solely by immigration, at the same time as droughts become more common because of climate change? Documents obtained by The Daily Telegraph can reveal WaterNSW and Sydney Water have voiced concerns that Sydney’s urban sprawl and booming population are putting increasing pressure on the water system, and steps need to be urgently taken to ensure Sydney is not hit by a water shortage. “Water being non-compressible and quite a heavy substance — it’s quite expensive to transport,” said Mr Lovell. Professor Khan said a whole new set of pipelines would need to be built to get desalinated water west of there, where the population growth will be. “The further you (pump desalinated water) inland, the more you’re working in a direction that is opposite to the way our water supply systems are designed and operate,” he said. Water scarcity remains the elephant in the room of the population debate, and an issue Australia’s mass immigration ‘Big Australia’ boosters continually ignore. 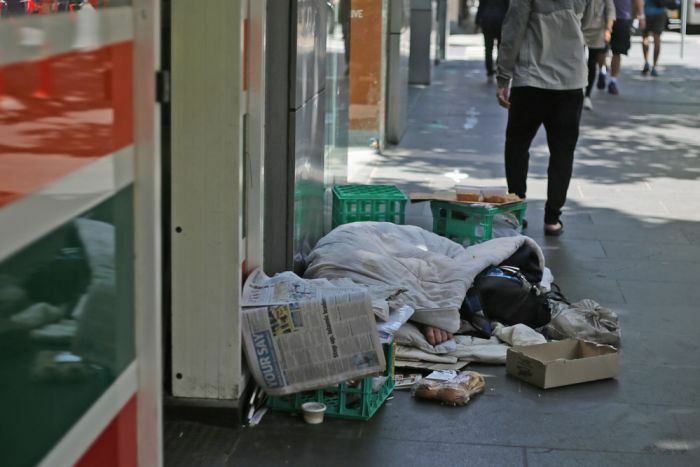 The first best policy response to alleviating Sydney’s water woes is to not make the situation worse by force-feeding many tens-of-thousands of new migrants into Greater Sydney each year. It’s bleedingly obvious. The challenges of a stressed Earth go beyond the rhetoric of both capitalism and socialism, writes Dr Geoff Davies. THE CONCEPTS AND RHETORIC of both old capitalism and old socialism obscure the great opportunities at hand to create a thriving and enduring way of life. A broader, longer and better-informed perspective might pre-empt unnecessary conflict among putative allies, such as accusations of being racists, or fellow-travellers of either ideology. The need for a fundamental reorganisation of our societies in order to return them to viability within Earth’s biosphere focuses our attention on how we are organised and what our options might be. The conventional framing of our options is a dichotomy between capitalism and socialism. So entrenched is this framing it seems to be difficult for many to imagine anything else, to the point that if you criticise one you are presumed to be a supporter of the other. This might not be a problem if one or the other offered a serious option for survival, but there is little evidence for this from the past practice of either. Perhaps one of them can, but if so, it needs a more penetrating analysis than one usually gets. The fact that each has continuously morphed makes the framing even less useful for a productive discussion, to the point where it is often unclear what people might mean by “capitalism” or “socialism”. Australia can choose not to be ‘big’ if it wants; both our material income and our quality of life would benefit. We have learnt a great deal about societies, people and ecosystems since Burke and Paine, Marx and Mill were writing. And we have a pretty fundamental new concept, the self-organising system, to bring to bear, so perhaps we can now do better at identifying options. As well, if one looks without the blinkers of either ideology it is not too hard to identify mechanisms in our societies that serve us very poorly, notably by pumping wealth to the rich, nor to find alternatives that are likely to be much healthier. It is also important to extend our perspective beyond the past couple of centuries of Western experience. It has become clear only fairly recently that our citified, “civilised” way of life has been both oppressively hierarchical and hostile to nature since its origins about 6,000 years ago. There is much more to come to grips with here than Marx versus Mill, Keynes versus Hayek. There is also another broad stream of thinking and practice, largely independent of ideologies, that is focused on whether and how we can change our activities and organisation so as to have some prospect of surviving as viable societies. This comprises many things ranging from climate science and ecology through regenerative agriculture, alternative money systems, green cities, and a fully-recycling “circular economy” to the shift of values that must accompany these practical changes if they are to last. We must be aware that time is critically short and the stakes are by now extreme. We may well be beyond climate tipping points, but we have to proceed in the hope that is not true. We are using resources well beyond any sustainable level and by many credible estimates the land, ocean, forests, fresh water systems, soils and other crucial components of our life support system are degrading rapidly. The underlying reality here is that we are, through food, water and air, intimately a part of a dense web of life on Earth, and its health is our health. The overpopulation, anti-people scare campaign sends xenophobic and racist messages. One is routinely disappointed by the superficiality and venality of mainstream politicians and their ignorant paymasters and supporting media chorus, who resolutely focus on their extractive conception of life in Australia and on Earth. On the other hand, it is disconcerting to have positive approaches attacked by putative allies, such as John Passant and his recent claim in ‘Australia and the overpopulation myth’ – evidently shared fairly widely among some sections of “the left” – that concerns about human population can only serve the cause of racism. Passant blames most of the current planetary destruction on corporate greed. One can totally agree that corporations are primary agents of the destruction. However, Passant implies that if only corporations are abolished all our troubles will be over. Is it really that simple? In what I will call modern global consumer capitalism, corporations operate by cultivating materialist addictions in our societies. This makes many of “the workers” complicit, which might have something to do with modern Marxists’ failure to attract a large following. Certainly, we need to reduce our fossil-fuelled overconsumption, but breaking those addictions will not be simple, nor will figuring out how to keep so many people alive and thriving within the limits of a stressed planet. Even if we did remove corporations and material addiction as proximate drivers, what sort of life and society does Passant envisage would ensue? That is left unclear, apart from vague appeals to democracy and internationalism. Evidently “the workers” will spontaneously reduce their consumption to supportable levels, and that will remain true no matter how many billions of people there are. There is indeed enough food to feed the present 7.7 billion mouths, but the planet is already severely stressed. Passant evinces little knowledge of or concern about this. It is either ignorant or disingenuous to imply that Malthus’ old argument is the only basis for concerns about population. It is reprehensible to go further and claim “populationists” are only motivated by racism. *Our nation is in danger of becoming overpopulated, but a solution should be achieved at a community level rather than solely by policy makers. Nor was Marx the only one to point out the divorce between early capitalism and the natural environment. There were also, just as an example, the English romantic poets and Henry David Thoreau. More pertinently, predatory capitalists are only the latest manifestation of the trope, deeply embedded in our civilisation, that the natural world is there for us to dominate and exploit. Many societies foundered from failing to heed limits in their environment long before capitalism came along. Passant quotes authorities who claim overpopulation arguments are used to oppress people. This hardly fits Australia’s situation, in which the people are burdened by the cost of a very high rate of immigration. *Jane O’Sullivan makes a straightforward case that each new person costs around $500,000 in new houses, shops, schools and basic infrastructure. *We are paying over $100 billion per year in direct costs or lost amenity, for high immigration — money that could boost wages and provide services to those in need. And in case anyone is inclined to think this piece is an unwitting front for neoliberalism, you might like to see my take-down of George Megalogenis’ and others’ claims that high immigration and free markets saved Australia from the global financial crisis. Not to mention a book called Sack the Economists. Marx had important insights, but it is as unhelpful to regard his word as the immutable truth as it is for the Institute for Public Affairs to revere the alleged “liberal principles” of Edmund Burke. If one can move beyond 18th and 19th-Century memes and terminology, a positive way forward emerges. Economies are far-from-equilibrium systems, which means markets cannot be left unfettered — as is obvious anyway from the grand neoliberal experiment in social engineering of the past 35 years. Markets can be useful, but they must be managed. They can be managed by attending to the incentives under which they operate, with regulation where necessary. Governments have essential roles, as the implementers of our collective will and to run natural monopolies and oversee other critical services. *The present total corruption of our democratic system needs to be and can be ended — through people power, transparency and strict limits on political “donations“. Banking ought to be a small and carefully regulated service. Media ought to be held to responsibilities to balance the immense privilege they exercise and, preferably, could be owned by their audiences. Local collective ownership can be fostered, better ensuring a fair flow of wealth reaches those who generate it. Our assault on the land and planet can be quickly reduced just by widely adopting many practices already available. Economic management can focus on simultaneously reducing quantity (of resources extracted, through a circular economy) and improving quality (of life). A better way forward is there for us to pick up and do. This is not the naïve and oxymoronic green capitalism of “sustainable growth”. Rather it is a harnessing of the best of our creativity and our immense modern knowledge to the cause of thriving within Earth’s abundant biosphere. In one year, Australia added 400,000 people. That’s like adding a city the size of Canberra. Big Australia: Are we ready? Tonight on #4Corners. Dr Geoff Davies is an author, commentator and scientist. He is a retired geophysicist at the Australian National University. You can read more from Geoff on his blog, BetterNature. 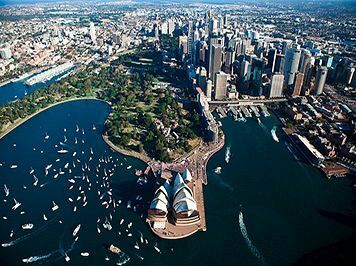 Australia recently surpassed 25 million residents. Back in 1979, Australia’s population stood at a far more sustainable 14.5 million people. That represents an incredible 72.5% growth in population in only 40 years. Proposals to limit growth and reduce the immigration intake are sometimes mistakenly — and often purposefully — conflated with racism. That purposeful misdirection generally comes from supporters of a Big Australia. These same voices will tell you Australia needs high immigration levels to address our ‘ageing population’. As if migrants, over time, won’t age themselves. This is simply kicking the can down the road, creating an even larger problem for future generations saddled with a far larger ageing population. Make no mistake; a lot of vested interests stand to make financial gains from continued rapid population growth. But as the past decade’s flat wage growth shows, those benefits have largely failed to trickle down to the average Aussie workers. What the average Australians have gotten are congested roads, jam packed public transport, and appalling degradation of the natural environment. And with Treasury estimating Australia will add another 10 million people by 2049 — in just three decades — meeting any international emissions reductions targets will become far more onerous. But nothing says that Australia has to continue on this path. A nation historically built on migration does not need to remain addicted to endless population growth. This is the 21st Century — not the 19th or 20th — after all. This truth is not lost on former state and federal Labor MP Kelvin Thomson, who has just become an advisor for the Sustainable Australia party, as AAP reports. Mr Thomson had been representing the Labor party for 35 years. He was the party’s councillor from 1981–88, then Labor MP for Victoria until 1996, and then a Federal Labor MP from then until the 2016 election. Understandably, his resignation from the Labor party came with a ‘very heavy heart’, but it was a decision that ultimately had to be done in order to continue boosting his own morale. ‘There are irreconcilable differences between the course I believe Australia and the world needs to chart, and the course that the Australian Labor Party is charting. ‘For a decade now I have set out what I believe to be the myopia, greed, vanity and ecological illiteracy that drives Big Australia, Australia’s policy of rapid population growth. ‘I retain a hope that in time, the Labor Party will embrace views about Australia’s population that are more in keeping with the needs of this generation, the needs of those who will come after us, and the needs of the many other species we have the good fortune to share this ancient, beautiful and fragile country with. Courage, it seems, to fight the politically correct brigade in order to honour and respect this land for all it has and continues to give us. There are only so many feet this golden soil can handle. The global elites would have you believe humanity is sitting on a ticking time bomb. It appears Thomson’s new political home is very appreciative of his move. Sustainable Australia Party Founder and President William Bourke said Mr Thomson was one of the kick-starters of the decade-long population debate. Bourke was assured of Thomson’s mindset with the former Labor MP’s description of the Treasury projections of a 35 million population by 2049 as ‘a recipe for environmental disaster’. According to AAP, Thomson will advise the party’s first MP, Clifford Hayes, elected to Victoria’s upper house at the November state poll. And we think that will make Kelvin Thomson an invaluable asset to the good of Australia, as well. 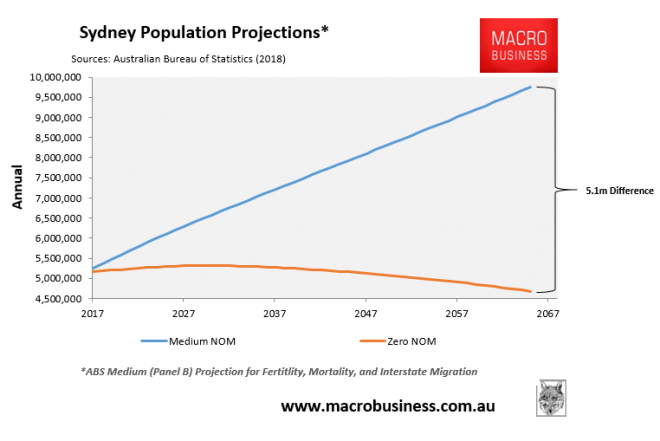 RESPONSE TO REVISED TREASURY PROJECTIONS CONCERNING AUSTRALIA’S POPULATION. We’ve had tax reform, microeconomic reform, industrial relations reform. It is now time for population reform. We are sleepwalking into an environmental disaster. First, the impact of a 60% increase in Australia’s population on our native wildlife will be catastrophic. Already over 200 of Australia’s birds are under threat – 30% of our 760 species. And when was the last time you saw a Bandicoot, or a Bilby, or a Bettong, or a Tree Kangaroo? It’s not just the habitat destruction caused by spreading suburbs, through that’s serious enough. It’s also habitat destruction from agriculture and the impact on our river systems, which are already in a state of poor health. Secondly, what about carbon emissions? The Government has promised to cut carbon emissions by 60% over the next 40 years, and all the science is saying that we need to cut them by 80% to tackle global warming. How are we supposed to do that if our population is going up by 60% at the same time? It’s pretty hard to reduce your carbon footprint when you keep adding more feet. And there’s the impact on the availability of food, water, energy, and land. These things are already stretched and a 60% population increase will only drive up the prices of these essentials, and lower our living standards. And what about the impact on our major cities – Sydney, Melbourne, Brisbane? Declining housing affordability, traffic congestion, overcrowded concrete jungles. I don’t want my city of Melbourne to become Mexico City, or Karachi, or Shanghai. I’d be surprised if people in Sydney or Brisbane want that either. Another 14 million people will not give us a richer country. It will spread our mineral wealth more thinly and give us a poorer one. It will make a mockery of our obligation to pass on to our children a world in as good a condition as the one our grandparents gave to us. WALGETT: ROASTING OUTBACK NSW TOWN RUNS OUT OF WATER! As if times weren’t hard enough for residents in the remote NSW town of Walgett, stuck in a rut of 40-odd degree days and with the nearby Namoi River so dry “you can ride a motorbike on it”. A lightning strike on Thursday also knocked out the town’s bore water supplies, leaving tap flows to “just a dribble“, Ian Woodcock, deputy mayor of Walgett Shire, told the Herald. “There was a bit of panic,” Mr Woodcock said, adding that in his 55 years in the region, he’s “never seen anything like it...it’s very dire“. Much of NSW was due to get some temperature relief on Saturday, but not Walgett and the north-west, where another three days of heat close to 40 degrees was expected. Fortunately for the town, work crews managed to get bore water supplies working again, with pressure building up to restore flows by Friday. Residents had been told they could have been dry for days. As we are hit with a heatwave, Walgett has no water. Ronald Murray, a staff member at the Walgett Sporting Club, said the town “wasn’t doing too well at the moment”. Having some flow, though, was critical especially for those whose air conditioners – known as “swampies” – rely on evaporative cooling. “You’d probably chuck [a fit] without that,” Mr Murray said. A council notice that the bore water might not be restored until Monday had stoked local anger. One resident responded to the alert on Facebook saying: “If that’s the case how about reviewing the price of the fxxxing rates being charged a fee for water we can’t use is a joke, residents here pay more then enough to afford decent infrastructure”. Parash Patel, who operates the town’s IGA supermarket, said his store’s butchery was affected by the lack of water. “It would be really hard” if the outage had lasted through the weekend, he said. Even so, the town remains on Stage 5 water restrictions, as it has been for about four months, Mr Patel said. That means no watering of lawns or use of water to wash cars. 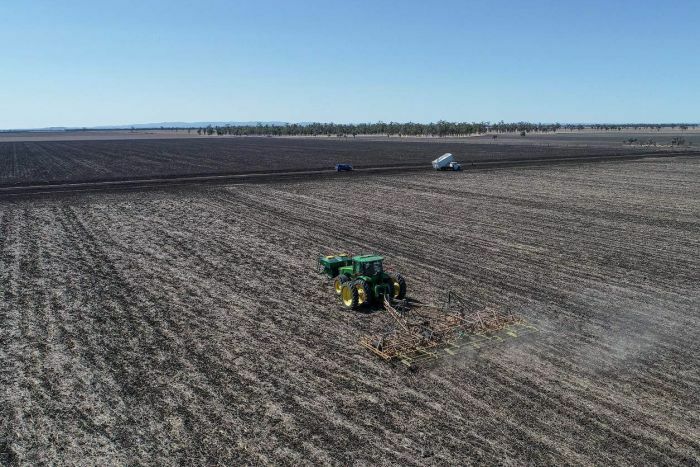 A spokesman for WaterNSW said the Namoi Valley was “among the major focal points for the severe drought” afflicting much of the state. “A near absence of inflows into the valley’s two major dams – Split Rock and Keepit – in the past 18 months has resulted in Keepit Dam storage falling below 1 per cent of capacity and ceasing releases,” he said. 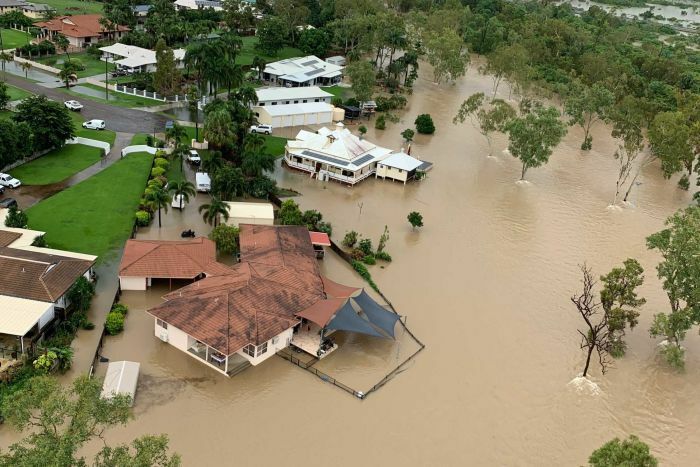 The final release from Keepit Dam into the Lower Namoi was some 30km from Walgett and “there is some likelihood it could reach the town in the next eight to 12 days”. While Sydney’s sea breezes have shielded coastal suburbs from the worst of the inland furnace, the city is forecast to have its hottest day in at least a month on Saturday. The temperature gap with western suburbs – lately running at about 10 degrees for maximums – will narrow with 34 degrees forecast for the city and 39 degrees for Penrith for the day. The scale of the December-January heatwave has been impressive. 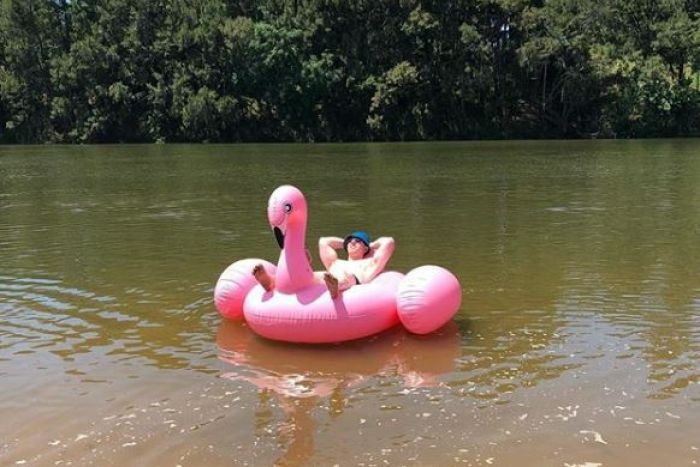 The event has included Australia’s hottest December day, with an average of 40.21 degrees on the 27th of last month. The following morning then brought the country’s highest average December minimums, at 24.16 degrees, the Bureau of Meteorology said. Last month was also Australia’s hottest on record for both maximum and mean temperatures, bureau data show. The bureau is due to release its full review of 2018 in coming days. SWIMMING IN SYDNEY’s NEPEAN, HAWKESBURY & PARRAMATTA RIVERS … A HUGE ACT OF FAITH … SAY SCIENTISTS … WHY? THE OFFICE OF ENVIRONMENT AND HERITAGE says it has no plans to extend its Beachwatch programme to test the water quality of swimming spots west of Cabarita! Cabarita is on the opposite side of the Parramatta River from Ryde! 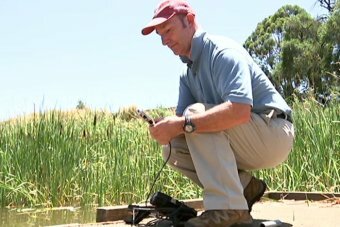 Scientists say there is a clear east-versus-west divide that is leaving western Sydney residents at risk of swimming in contaminated water this summer. 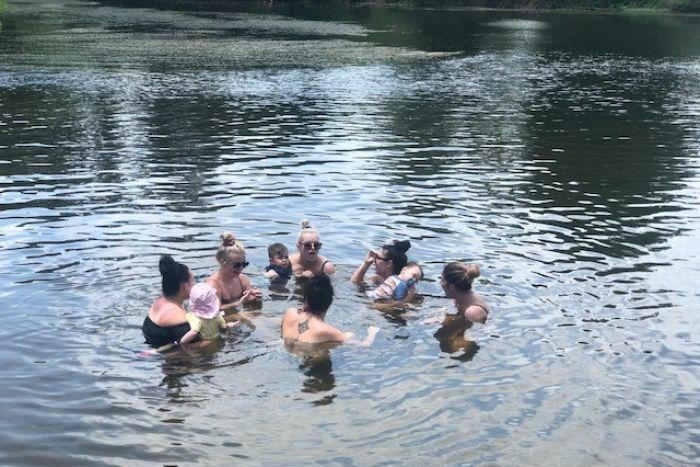 As temperatures in parts of the west reached 42 degrees Celsius by midday yesterday, hundreds flocked to the Hawkesbury, Nepean and Parramatta rivers — but had no way of knowing if the water was safe. The New South Wales Government’s Beachwatch conducts regular testing of Sydney’s eastern beaches and some harbour locations, but does not test at any swimming spots west of Cabarita. 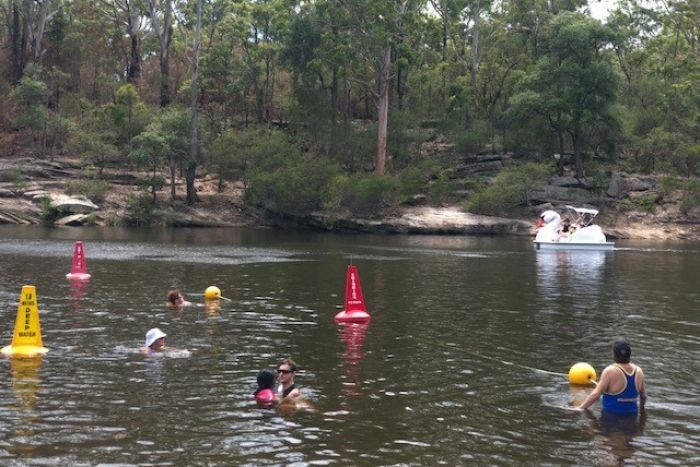 Ian Wright, who specialises in water pollution at Western Sydney University, said there was no public data on the water quality at Windsor Beach on the Hawkesbury River — an omission which he said was comparable to having no data for Bondi Beach. “This is the Bondi Beach of western Sydney,” he said. “This is incredibly popular but I can’t give you any guidance on water quality and the risks involved. Dr Wright said the brown water “doesn’t look great” and there were many risks to human health due to the microbiology of the river. “Historically there have been so many water quality issues here,” he said. Dr Wright said when local councils tested the water, the results were not made public. *”Why do we have so little information available? Yet we have so much development about to hit here and every bit of development will have so many more water quality issues associated with it,” he said. Around 20 to 40 per cent of the normal river flow in the Hawkesbury River in dry weather is treated sewage, according to Dr Wright. He isn’t the only scientist concerned by the lack of data available for the west. Stuart Khan from the University of New South Wales said there should be a focus on ensuring the upper Parramatta and Nepean rivers were safe for swimming “because they should be, they’re jewels of Sydney”. Dr Khan also called on the Beachwatch program to be extended. But a spokesperson for the Office of Environment and Heritage said it had “no plans” to widen its Beachwatch program “at the moment”. Dr Khan said consistent testing at popular swimming sites along the west’s riverways, were likely to reveal some bad results. “There’s a good chance, I think, that we’ll find the rivers are not up to scratch, they’re not ideally safe for swimming in at this time,” he said. Dr Wright said he would not suggest submerging eyes, ears or noses in water along the Hawkesbury River. “It looks unclean to me. It has a little bit of a rich odour,” he said. THE OVERPOPULATION OF AUSTRALIA: TOP INDEPENDENT AUSTRALIA STORY OF 2018! THIS ARTICLE was read by 75,000 people! CAAN has highlighted the information which needs to be shared widely! The prize for most popular IA article for 2018 goes to Michael Bayliss for this March article on Australia’s rapidly expanding population, which was read by over 75,000 people. 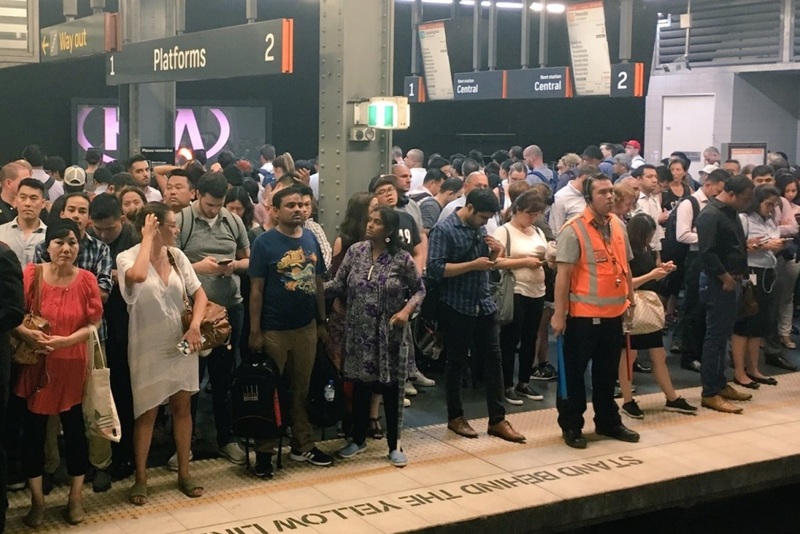 Our nation is in danger of becoming overpopulated in the not-too-distant future, but the solution should be resolved at a community level rather than solely by policy makers, writes Michael Bayliss. ALL OF A SUDDEN it seems that Australia’s population has become something of a hot topic in the media. On Monday, 12 March, both ABC’s Four Corners and the episode of Q&Athat followed it focused exclusively on population. This followed on from recent comments by a range of people from conservative politicians such as Tony Abbott through to progressive environmentalists such as Paul Hawken. It is becoming evident that there are many different views on this topic from a diversity of interests, so does this mean that we can finally start to have a mature and rational conversation on the population issue? In an article that I co-wrote a year ago for New Matilda on why the left should be more open to discussing population, it was pointed out that since Australia’s population is growing by the size of Canberra every year the issue is not going to disappear, especially since it is mostly growing in a relatively small part of the Australian continent. In a more recent article on town planning for Independent Australia, I argued why it is difficult to plan for sustainable communities with lower rates of per capita consumption when we are endlessly trying to play catch-up in order to accommodate a rapidly increasing population. This is one reason why Paul Hawken of Project Drawdown informed a packed audience at this year’s Sustainable Living Festival that the empowerment and education of women and girls, combined with access to affordable family planning worldwide, are together the most significant contribution to addressing global climate change. However, Australia’s foreign aid budget has been steadily going down over the past couple of decades and this needs to be reversed if Australia is to have any serious impact in assisting population sustainability worldwide, which is currently 7.6 billion and is expected to reach 11.2 billion by 2100. It is just as important that our aid money is directed towards the grass roots proactive projects that are needed to help countries create resilient, environmentally regenerative communities with the access to healthcare and education that enables women and men to make informed family planning choices. Given that the global population is currently increasing by 83 million per year, there is no domestic population policy in Australia that could address the magnitude of this global phenomenon without generous financial support to address the underlying causes. Instead of investing in proactive foreign aid, Australia is fighting a losing a battle, siphoning much of our GDP to build the “roads of the future”. These and other infrastructure projects are trying in vain to accommodate a domestic population growth rate that is amongst the highest in the OECD. Australia grows by 370,000 people per year and the vast majority of this growth occurs in or around our capital cities in the form of suburban sprawl or apartment developments. This puts us on a trajectory to almost double our current population of just over 25 million to at least 40 million people by 2050 — just over 30 years away. Melbourne and Sydney will also double in size to mega cities of around eight million each. The infrastructure costs alone are staggering. We will need to spend as much money on infrastructure over the next 40 years as we have since Australia was first colonised — a figure that is estimated by some sources to be around $1.5 trillion. 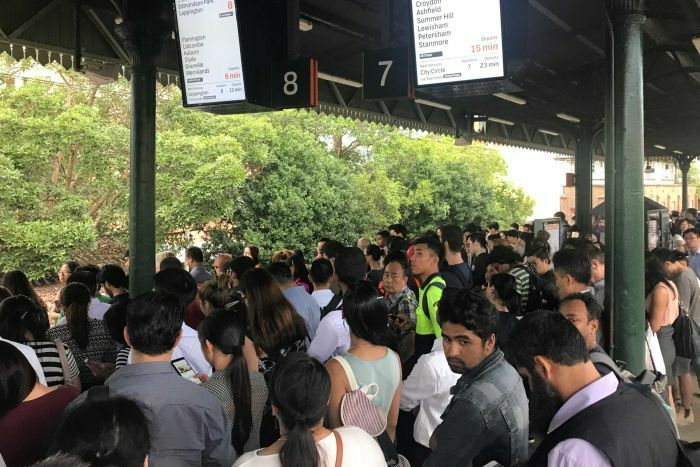 It is already estimated that Australia is already at least five years behind in the infrastructure that it needs and, as successive governments fail to keep up with the trains, roads, schools and housing, it is likely that these costs will only intensify. *Why Is Australia growing so fast and what is the cause of this growth? It is not due to our birth rate and it is not due to our refugee intake, as our humanitarian program is less than 10% of our annual migration intake. Australia is in a unique position where we would not need to reduce our birth rate or our humanitarian program in order to achieve a long term stable population. Organisations such as Sustainable Population Australiahave never been about turning back the boats or forcing people to have fewer children and never will. Rather, it is the deliberate population policies designed to boost short term GDP growth that such groups question. *Such a quote is telling, as it implies that population policy is influenced strongly by business interests, primarily for economic gains by those in positions of influence and power. *This lobbying power has resulted in a skewed migration program, in which economic migration is the largest contributor to growth at more than 60% per annum. *However, political debate tends to focus exclusively on refugee migration, creating an ideological wedge in society while we collectively overlook the largest contributor to population growth and there are strong reasons why this blind spot exists. 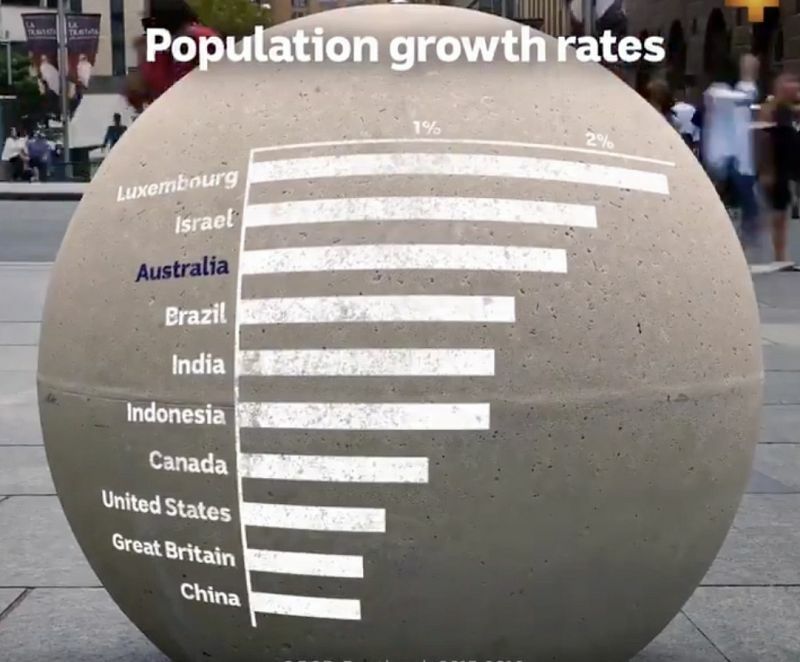 Business-as-usual projections assume our four biggest cities must absorb three-quarters of Australia’s population growth over the next 30 years. Might new cities be a better way to deal with it? Big business remains hostile to the humanitarian program, due to the perception that refugees require funding for social support and that they do not have the economic advantages that skilled migrants provide. Therefore, refugees and asylum seekers are disenfranchised from migration policy as it currently stands. Non-refugee migrants often find themselves short changed as well, as there is less social security available for overseas workers, particularly for temporary workers. Recent media exposure of abuse to 457 workers from franchise organisations such as 7-Eleven is just scratching the surface. There is also the Australian Indigenous perspective to consider, as population growth policies continue without Indigenous consultation. I recently had the opportunity to interview Richie Allan, Indigenous advocate of the Ngunnawal community in the A.C.T. He was openly critical of the suburban sprawl around Canberra, particularity where it encroaches the Ginninderra Falls and other places of cultural significance for his community. ‘…population almost doubled in size, taking over more and more of the best land for housing, suffering greater pollution and congestion and natural resources under increased threat of depletion and degradation. A migration policy that is decoupled from economic policy, so that focus can be shifted toward assisting people in need and proactive foreign aid to address root causes of global population growth rather than growth being dictated for us by narrow economic interests. Increased opportunities for open discussion on family planning and the pros and cons of having children. Often people are unaware of the high expense of raising children in Australia and that having one less child is the highest personal contributor in reducing carbon emissions by 58.6 tonnes per year. This also eliminates the challenges in raising children in today’s isolated suburbs. More authentic and genuine Indigenous consultation in regards to town planning and migration policies. Ultimately, population policy will need to be discussed at some point, as it impossible to grow indefinitely on a finite planet, particularly now that we are facing a climate emergency. Population growth has a multiplier effect on the impact of total human activity on the environment, whether we’re talking about water shortages, loss of eco-systems, displaced persons, infrastructure shortfalls and so on, and on. If Australia’s population is to double by 2050, our per capita impact on the environment will need to drop by 50% within 35 years just to break even. The problem is that rapid growth is making it harder for us to do just that as the urban sprawl and poor standard densification – whereby many blocks of units are built to last less than half a century – that occurs when population growth outpaces infrastructure development and urban regeneration is not only entrenching car dependency, it is also increasing our food miles through loss of the food bowls. Crucially, it is decimating local wildlife and stripping biomass in some of our most biodiverse areas. The sooner the community gets together to decide on fair and just population policy, rather than outsourcing the decision process to rich political lobbyists, the closer we can get to a change for the better. Michael Bayliss is communications manager for Sustainable Population Australia and Co-founder of Population, Permaculture and Planning. You can follow him on Twitter @Miketbay83 and Sustainable Population Australia HERE.